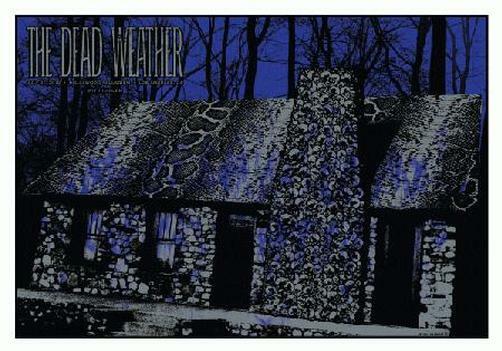 Original silkscreen concert poster for The Dead Weather at The Hollywood Palladium in Los Angeles, CA in 2010. 16.5 x 23.75 inches. Signed as an Artist Proof by artist Todd Slater.